This badge was issued to Michael Stanclift on 11 Oct 2013. This badge recognizes the achievement of the Dell EMC Proven Professional Specialist - Implementation Engineer, Isilon Solutions Version 1.0 certification. Earners of this badge are prepared to perform Isilon cluster installations as well as performing configurations including protocol, SmartConnect, SMB, NFS, snapshots and replication. 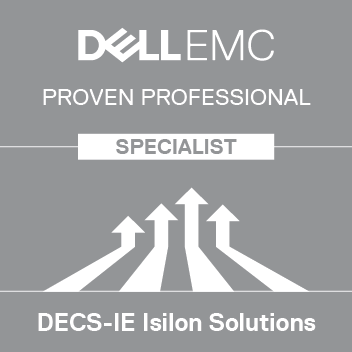 Achieve the Dell EMC Proven Professional Specialist - Implementation Engineer, Isilon Solutions Version 1.0 certification.